In the spring of 2013 I went looking for a waterproof backpack option knowing that I would be doing some longer trips on my 2008 Triumph Bonneville where I might run into some weather. A friend of mine had a Kreiga (UK) pack for his Bonnie that impressed me with its design. One day I was visiting my local Triumph dealer, Motor Cycle Center, in Villa Park, Illinois, and saw a Triumph branded Kreiga backpack model R30. It was waterproof and had a very cool strap locking design, plus reflective panels for better visibility at night in poor lighting situations. 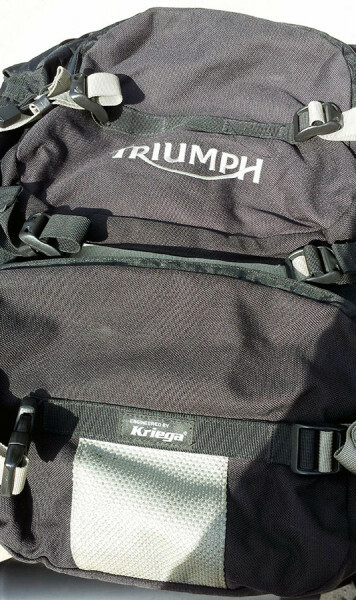 Triumph branded Kreiga R30 Backpack purchased from Motor Cycle Center. 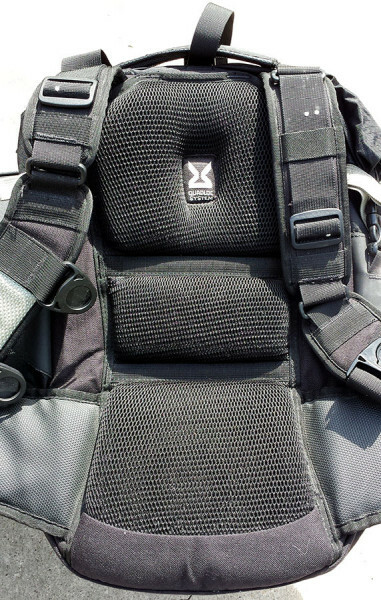 I purchased this Triumph/Kreiga BR30 backpack at a premium price of $258.59 on May 4, 2013 from Motor Cycle Center Inc. The backpack performed well for me the remainder of 2013. If you follow this blog you’ll know that I went on a number of longer distance rides to Memphis, TN, Bentonville, AR, the Springfield Mile, the Indy Mile, the fall Slimey Crud Run, and others. My riding came to a halt in November when I had an accident that resulted in a broken ankle. I had little use for the bag until this spring (2104) as my ankle had healed and I began riding again. May 4, 2104, exactly one year from when I bought the pack, I flew with it to Orlando, FL on business. In the airport on my way home on May 6, 2014, I went to pick up the pack from resting on the floor and the entire top of right shoulder strap ripped away from the bag. 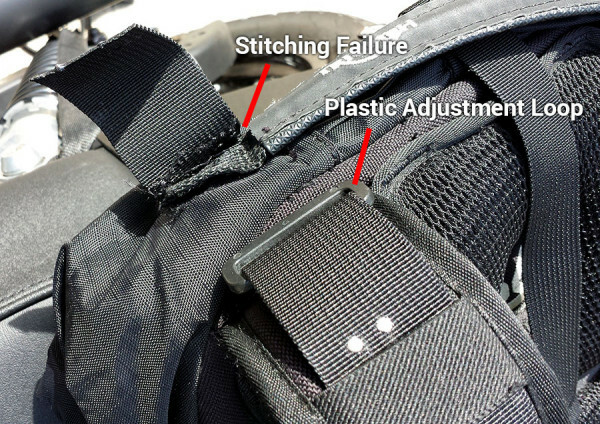 The stitching that held a black plastic adjustment loop in place had failed. There was no way to even make-shift an alternative. I had to carry the bag the rest of the way home with the left strap only, and holding the bottom of the bag for added support. 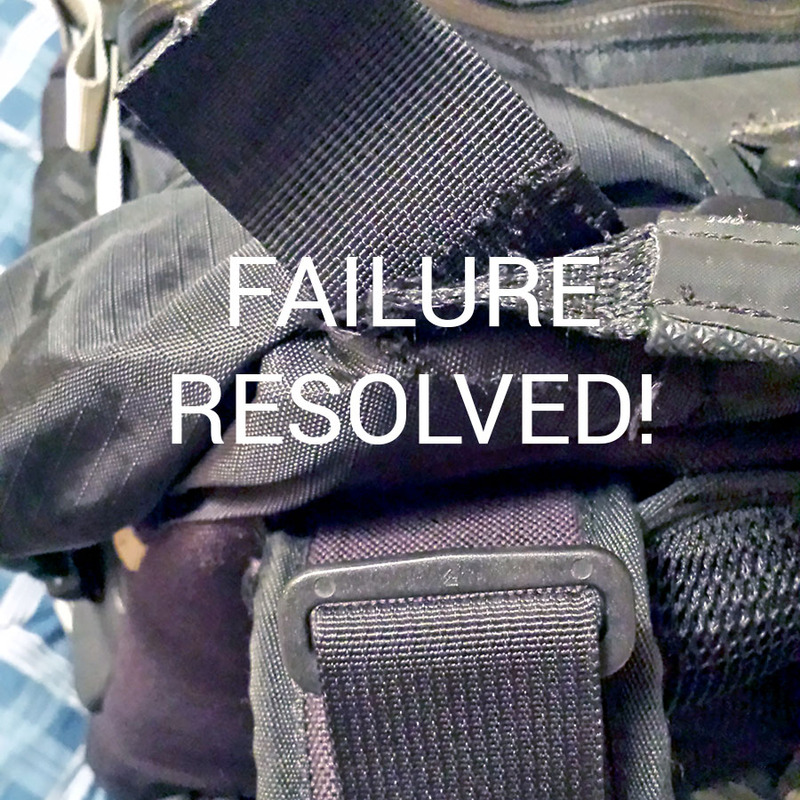 Unusable Triumph/Kreiga R30 Backpack after right shoulder strap stitching failure one year from purchase date. 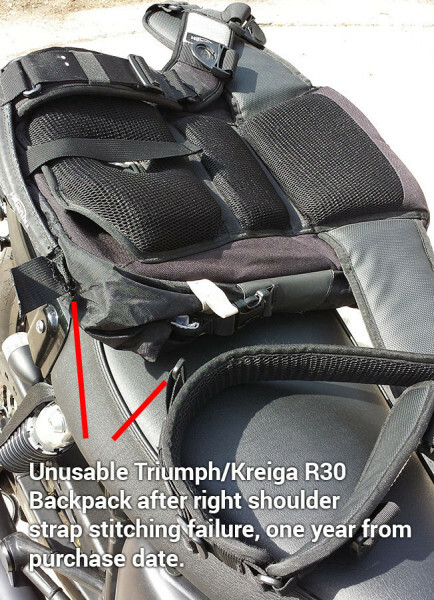 So, I strapped the failed Triumph/Kreiga bag to my Bonneville and rode out to Motor Cycle Center on Saturday morning, May 10, 2014 to see what could be done about the situation. I met with a guy at the sales/parts counter and explained what had happened. I left not knowing what to expect. Was I supposed to follow up and call back – is that why he gave me the card? Or, would he call me? When would this get resolved? I have road trips planned where I will need a waterproof bag. Will I have to go out and buy an alternate bag because this doesn’t get resolved in time? Ironically, the conference I attended in Orlando was put on by Forrester Research. Forrester is a leading research firm focused on technology and its impact on the marketplace. I had been in many sessions where we heard why we are now in the “age of the customer” and why businesses need to embrace and adapt to this reality if they are to survive. It was pointed out that customers today have more power than ever before with mobile smartphones and search engines at their fingertips. Today’s customers have “mobile moments” when they expect to find what they need, when they need it with almost immediate results and at a fair, reasonable price. This trend is only going to increase as the use of smartphones and similar devices is outpacing all other types of computers. Businesses that understand and embrace this trend will become predators by seizing the opportunities, and businesses that don’t understand this will become prey. 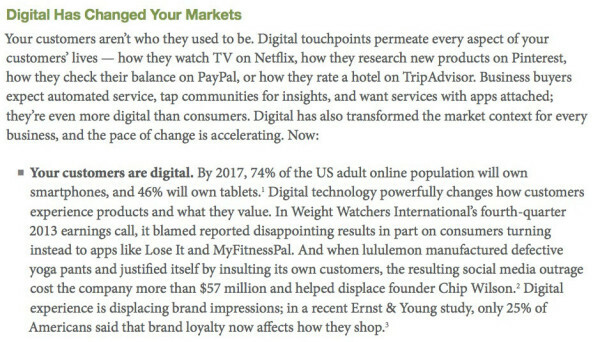 Excerpt from a Forrester Research paper on why we are now in the “Age of the Customer” and why the future of business is digital. In light of this, I don’t think I am being unreasonable or bringing unrealistic expectations to this customer experience. 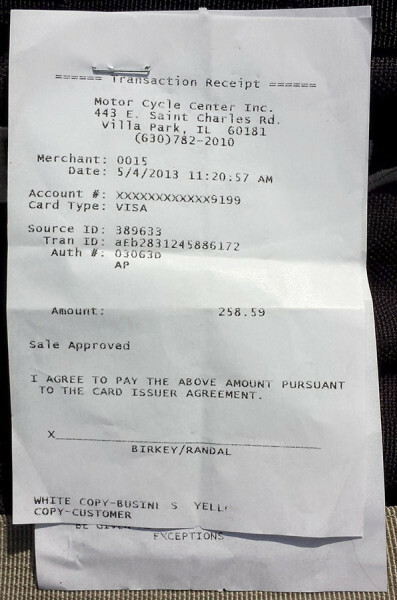 From my perspective, I paid a premium price for a product that had two well-known brands attached to it (Triumph, Kreiga) not to mention a local business name and reputation. I assumed that because of this, the product was of a higher quality than a typical non-branded, purchased-anywhere product. I wasn’t shopping price, I was shopping local for quality and reputation. I expected the product to last for many years and for the brands associated with the product to stand behind it. After all, I have a similar sized non-waterproof backpack from REI that is well over 10 years old, still going strong, with a lifetime warranty. As of May 12, I didn’t know how this story would end. As far as I was concerned, the ball rested in MCC’s court, and their dealings with Triumph. Would they get back to me on the 12th, since I went in on Saturday May 10th and they “already had a call in” to Triumph? I didn’t know. Will I have to wait more than a week? I didn’t know. What I did know was that I am like millions of other customers, who will talk and share about their customer experiences verbally within their circle of business, family and friend relationships and in social media channels. It’s what people do now. What we share has positive and/or negative impacts on the businesses, brands, products and services we share about. It all plays a part in shaping how brands and businesses are perceived and whether customers trust them in the marketplace. How this story turns out will be an indication of how well informed and tuned into what is happening in the marketplace Triumph, Kriega and Motor Cycle Center are as brands and businesses. Update May 14, 2014 – What Really Happened… a Comedy of Errors. Well, it is very interesting what can happen when you start asking questions and probing around the edges of an issue like this. 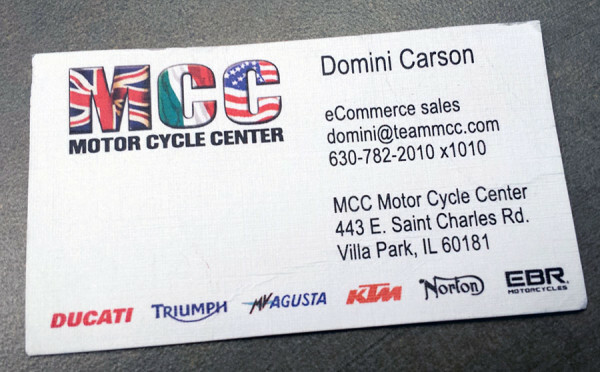 I emailed Domini at MCC on May 13th, asking for some idea of how long it would take to get this issue resolved because I had bike trips planned where I would need a waterproof bag – starting as early as May 24th with the ride to the Springfield Mile. I received emails back from Domini explaining the process the dealer needs to go through with Triumph to get a warranty request approved. It was suggested that I could try contacting Triumph directly to maybe help the process along. So, I went to the Official Triumph Facebook Page and posted a message there to their customer service people explaining my situation and referencing this blog post. Later that same evening I received a long email from Domini explaining that she was a she, and not the person I had spoken with at the parts counter last Saturday! He was actually named Mike and he had handed me her card! I was so shocked! I had assumed he was Domini since he handed me a business card with that name on it. Mike hadn’t made it clear that he had just spoken to Domini (the manager) and that she was already in contact with Triumph about this. In the email Domini explained that she had discovered that my original email reporting the failure had arrived in Les White’s email box, and that he had forwarded it to Domini who heads up the apparel section. She actually did respond to my email, but didn’t realize that when she hit “Reply” the her reply went back to Les, and not to me. In that reply she had explained how she was approaching Triumph about the issue on my behalf. So, when I showed up in person on Saturday, they all thought I had received that email, and that I knew who I was talking to. Since I hadn’t received that key email, everything that happened on Saturday was perceived differently by both sides! No wonder it had a surreal nature about it! I have no idea if my Facebook message to Triumph played any part in the eventual response, but in the explanatory email from Domini last night, she communicated that Triumph had approved the warranty and would replace the backpack with a new one. So, at this point I am happy to report the issue is resolved. I rode to MCC on Saturday, May 17th and delivered the failed bag and picked up the replacement from Domini. Thankfully, I won’t have to go looking for an alternative backpack by May 24th. I want to thank Domini for her communication with me once she realized there was an honest misunderstanding and miscommunication here. I don’t hold what happened against her or MCC because I am human also and know these things happen, even when technology is supposed to be “helping” us! I want to thank Triumph for standing by their brand and products even when the failure technically happened after the warranty period ended (by 2 days). From a pure business, brand and communication perspective, this experience has some valuable lessons embedded in it for everyone. It clearly points out the importance of a brand or business being able to respond to customers quickly and efficiently using the communication channels that the customer chooses and prefers. I am not particularly unusual as a customer these days, but I am more like the “Millennials” than I am like the “Baby Boomers” in my shopping habits and preferences. When Domini made an honest mistake using my preferred communication channel (email) it set off a whole chain reaction of mishaps that could have ended much worse than it has. However, that same communication channel was used to address and correct the misunderstanding! It is also hard to know what role this blog post and my Facebook posts (social media) played in communicating details and motivating action. I think it played a partial role. Because of social media, brands and businesses are more aware (or they should be) of what customers think and how they are perceived. Smart businesses and brands (like MCC and Triumph) pay attention and address customer issues head on as they come to understand them. I’m also happy to report that this kind of product failure is unusual. Domini reports that she rarely has to go back to Triumph for issues like this. So, this indicates to me that in general Triumph branded products are of good to high quality and are generally worth the premium prices we pay for them. This is as it should be and I will continue to purchase Triumph branded products with confidence. I hope my experience shared here sheds light on other customer experiences and helps in resolving issues with Triumph branded products and the Triumph dealer network. I’m relieved that this issue turned out well. …I have no patience for this nonsense…hopefully it ends well/better.